Founded by Anil Sabharwal , RAYV - a local business directory with recommendations, targeted towards Sydney customers, allows consumers to find, review, and talk about local businesses. It's a cross between a web-based social community and an online business directory and a recommendation engine. I’ve always had a passion for technology. It started with hardware – computers, video game consoles, mobile phones – but as of late my real interest has been the digital space. There is so much information in the world today but it’s all useless if it can’t be filtered and delive red in a meaningful manner. To me the Internet represents both our greatest opportunity and our biggest challenge – and this is what drives me day and night. I have a technical background, having graduated with a degree in Mathematics and Computer Science from the University of Waterloo. Waterloo’s claim to fame is that it’s the number one University in the world that Microsoft hires from, so, like all good Waterloo boys, I started my career at Microsoft as a Product Manager. I then co-founded an e-learning company which is now the second biggest educational e-learning company in the world. After selling my share of the business to my partner, I worked in Senior Management roles (mostly Sales and Marketing) for a few different software companies. Eventually the entrepreneurial bug bit me again, and I started RAYV. • Please tell us about your start-up? It is a well documented fact that most people believe asking friends is the best way to find restaurants, mechanics, hairstylists, or anything else local. RAYV makes it fast and easy to access these recommendations by collecting and organizing them in one convenient place. For businesses, RAYV is word of mouth marketing amplified. Given that nearly 90% of all purchases are influenced by word of mouth, RAYV is an innovative new marketing channel for local establishments to target local consumers effectively and efficiently. Businesses are given the opportunity to differentiate themselves from the crowd and promote their business success stories to a captive audience. RAYV was founded in September 2007. The idea was simple – to fill a gap in the Australian market and provide consumers with a single place to go for trusted word of mouth recommendations across all types of local businesses. Ian McCallam was immediately brought on board as my business partner to lead the charge on Marketing and Product Management while I focused on setting up the business, raising capital, and managing the software development team. Philip McCauley was brought on board in October, 2007 to manage the finances. All team member bios can be found here. RAYV launched in Sydney in January 2008. Deliver the best possible experience to our users (members, visitors, and business owners) and become the ultimate Australian city guide tapping into the community’s voice and revealing insights on local businesses. RAYV is a fun and engaging place for passionate and opinionated influencers to share the experiences they’ve had with businesses and interact with other like-minded people. 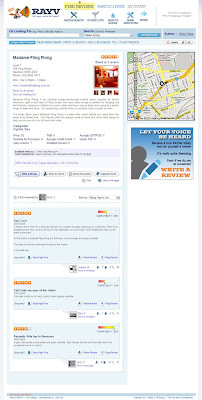 It’s a place where anyone can go to get a trusted recommendation on a local business. And it’s a place where local business owners can promote their establishments to an active and captive audience. Consumers who wish to share their experiences; consumers looking for a business and a trusted recommendation; and business owners looking to promote their establishment. RAYV currently has several hundred active members and well over 50,000 page impressions a month. These numbers are growing at a rapid rate, given that the site is only 3 months old. • How are you measuring the success of your venture? Are their any special mechanisms/tools are in place to monitor the progress? 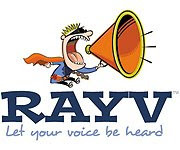 RAYV measures its success based on the feedback of our community and by the growth of our visitation and member base. As revenue picks up, this will become a crucial measure as well. RAYV provides a unique method for local businesses to promote their products and services. For a small monthly fee, businesses can sponsor categories and searches, be featured on the homepage, and take control of their business listing page to include pictures, price lists, special promotions, and take advantage of a host of other valuable benefits. These elements ensure the business owner gets more hits to his/her page, and in turn, more business. • What has been the most easy to use, out of box and helpful technology? All technologies have been easy to use so long as the proper time has been spent up front to architect and design. • Are you using lot of open source tool sets for this? We use some, but are also building new technology, such as our Compatibility Tool which tells a member how compatible he/she is with another member. This is extremely valuable when trying to figure out whose reviews you can trust. • What is your operating environment (operating system) and what type of database you are using? Linux and MySQL. • How often do you catch up with others trying similar things and where do you catch up? Do you have dedicated communities in your city? We look to catch up regularly with our member base and business owners to better understand their interests, needs, and issues with the RAYV product. Through this direct feedback mechanism we’re able to make sure we build a product that is right for our customers. We have. RAYV is partially self-funded with additional investment coming from Angel Investors. • What’s your thought on being an entrepreneur? How tough it is to start a venture in Australia? Having spent most of my life in Canada, the first thing I noticed about Australia is that the country appears to be risk averse when it comes to technology investments. That’s not necessarily a bad thing – just an observation. But it does make it difficult for entrepreneurs with good ideas, as investors here will typically require that a company has reached a certain level – measured by revenue, visitors, and/or members – before they take a risk and put money into your venture. That’s good news for entrepreneurs when it comes to dilution, since the valuation of a company is ultimately higher once you’ve hit a few key milestones. But it’s bad news if you can’t fund the project initially to get it to that point. • Would you move your business to another country, and if so, for what reasons? I think Australia is a brilliant country for RAYV and it’s where we plan to stay. • Which city in Australia is more vibrant and can be regarded as Silicon Valley of Australia? I don’t think any one city in Australia can be singled out. The country is so well connected that technology ventures are popping up all over, and this is the way it should be. • What do you think of new ventures and innovation coming out of Australia? Purely within the technology space, I fear that Australia is lagging when it comes to new ventures and innovation. • Do you think we can create a new Google in Australia? Absolutely. Australians are some of the brightest minds in the world and creating the next world class technology company is definitely something we should all strive for. The challenge is that the odds are stacked against us. Based on population alone, the U.S. has 15 people for every one of us. Couple that with the government funding programs in the US, the abundance of investment capital, and the willingness to take risks, and it seems like a safer bet that the next Google will come from overseas. But that shouldn’t stop us from trying – it just makes the challenge that much more exciting! • What do you think of our TAFE/Universities and their curriculum in terms of promoting and encouraging entrepreneurship and innovation? From what I’ve seen, they’re a good start. But more emphasis needs to be put on the practical side so that students don’t immediately get discouraged after graduating. Too often great ideas never see the light of day because an entrepreneur gets overwhelmed at the outset and gives up. • What do you think government (federal and state) should do to improve the culture of innovation? Anything and everything. While Australia has some good government programs, they are underfunded and far too restrictive. While I agree we need to emphasise innovation, the truth of the matter is that some of the most successful companies have never invented anything new. Facebook and YouTube are great examples – at the outset (and arguably even today) they did no technology innovation. It was about taking existing technologies and putting them together in a new and innovative manner. The idea itself was the innovation, not the technology. But in Australia, if you can’t patent it, the government doesn’t want to hear about it. • What Government resources have you used to help your business? And have they made an impact? For the reasons mentioned above, we’re not eligible for government support in Australia. • At the 2020 conference, PM Kevin Rudd is meeting with top 1000 people from different background to discuss and collaborate on the issues facing the nation. What issues would you like to raise if you are given a opportunity to attend? I’d look at instituting more practical work experience programs into University curriculums (co-op programs and internships) as well as encouraging the government to set up more technology incubators and government funding in support of technology start-ups. Do it. Take the plunge and be willing to fail and learn from your mistakes. And find yourself a mentor to help you along the way. Thanks Anil for sharing your thoughts. We look forward to hearing from you in future on the progress of RAYV. All the best.